Enchantingly opulent selection of favourable gold and silver metallic hues bringing a textural delight of velvets, silks and sheer organza fabrics to life. This glorious fusion of finishes offer a beautiful array of glistening and sophisticated surfaces which is suitable for a traditional or contemporary interior. 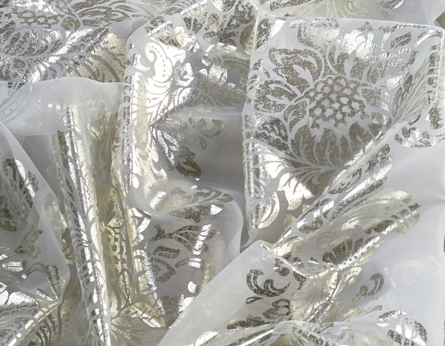 These fabrics are available with Swarovski® crystals and can be treated with stain and water repellent for bathrooms.